Once again, Texas Motor Speedway track president Eddie Gossage—in Fort Worth—is being weirdly territorial about the rest of Texas after Austin’s Circuit of the Americas expressed interest in a series that runs at TMS. Um, do you guys own a map? In any other, smaller state, Fort Worth and Austin would probably be in different states. COTA chairman Bobby Epstein recently expressed interest in hosting NASCAR. COTA, of course, is a road course instead of an oval like TMS, and it’s a full three and a half to four hours away by car from TMS. But nope! 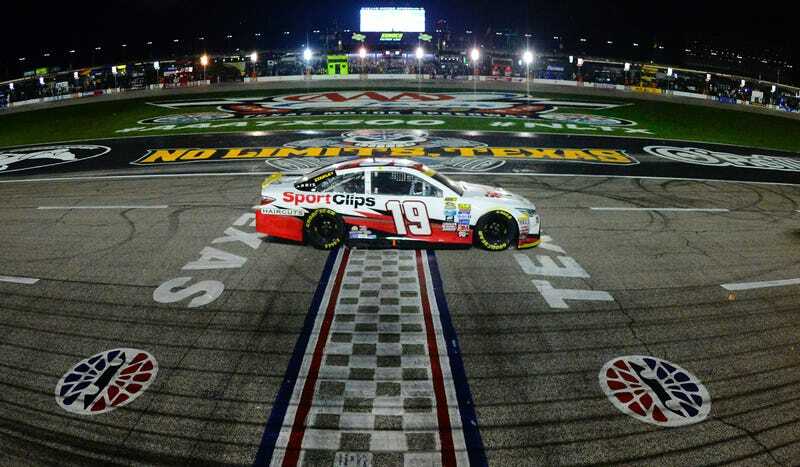 NASCAR dates elsewhere in Texas—the second largest state in the country—fall under a regional protection clause in Texas Motor Speedway’s five-year contract with the series, per Autoweek. This is asinine, not to mention pretty condescending. These tracks are 221 miles apart by car, according to Google—and most of those miles are on the Godforsaken hellscape of perpetual construction known as I-35. Sure, there are situations where nuisance at a nearby race would be understandable. If you know a race is going to draw people in from all over Texas, don’t put the same series back-to-back at TMS and COTA in the same month. But NASCAR only races at TMS twice a year, allowing plenty of time to sneak in a road course date that would be a welcome addition for many NASCAR fans who want to see more right turns on the schedule. Better yet, NASCAR’s road course dates attract race fans who don’t often come to NASCAR races, which might even convince more people to make the drive up to TMS if they liked what they saw at COTA. We have 20 years of history with NASCAR, there’s a long history there and our company is one of the biggest clients in the world for NASCAR. This story doesn’t concern us. TMS has been working with NASCAR for ages, which is exactly why any race several hours away—be it at COTA or somewhere else in the state—that’s spaced out well away from TMS’ dates on the calendar shouldn’t be a concern at all.